The USC Cycling Team needs your help to do the right thing. 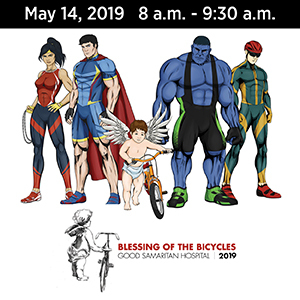 The cycling team is hosting its first bike race in six years, and wants to offer equal prize money to both men and women. Which is the way every race should be run. But usually isn’t. As a result, they need your help to crowdfund just $1,500 to make up the difference in purses mandated by the sport’s arcane rules. Here’s how they explain it. Why are the women paid less? That is an existential question plaguing professional cycling, and it trickles down to amateur and collegiate cycling. There are fewer female riders, fewer female teams and promoters are less likely to provide big money for a race that can potentially only draw 12 women. At most races, if the number of registrants surpasses a given threshold, then the prize money doubles. This is how we first modeled our prize structure. However, this traditional model misses the point. If women knew that equal prize money were up for grabs, teams would show up in full force. But many racers, both men and women, often wait until the week before a race to register, especially if they are local and don’t have to plan travel. So, women are checking the registration page in the days leading up to a race, weighing the costs of registering against the possibility of their winnings. Field-contingent prize money holds many back from registering. The event takes place the first weekend in March, with the Rosena Ranch Circuit Race for collegiate cycling teams on Saturday, March 2nd, and the first ever USC Brackett Grand Prix on Sunday the 3rd. As of this writing, they’ve raised $271 of the modest $1,500 goal, leaving a gap of just over $1,200. Which we should be able to help them raise without breaking a sweat. Or maybe someone with slightly deeper pockets would like to sponsor the women’s races. Because frankly, they race just as hard as the men do. And deserve every bit as much. Meanwhile, a bill in the California legislature would require sporting events that take place on state-owned land to provide equal prize money for men and women. You can cancel those plans for New York this year. In a surprising announcement, the Red Hook Criterium has been cancelled for 2019 due to rising costs and insufficient sponsorship funding. Organizers promise the popular fixed-gear race will be back next year after they reorganize. Although past experience tells us not to hold our breath, as races that are cancelled over funding too often don’t come back. Let’s hope that’s not the case this time. An Alexandria, Virginia woman says Vision Zero isn’t working in the US because people are choosing cars over public transportation. Which has little, if anything, to do with reducing traffic deaths. She cites as proof the factually incorrect, traffic safety-denying Wall Street Journal op-ed recently penned by a Los Angeles lawyer. And dissected and discredited right here. Meanwhile, the recent spate of op-eds and letters to the editor on the subject is starting to raise questions over whether this is concerted effort to spread misinformation about Vision Zero and road diets across the US. And we can probably guess who’s behind it. Watts-based Grammy award winning rapper Jay Rock is one of us, saying he was supposed to perform on the awards show three years ago, but couldn’t because he was laid up in the hospital following a bike crash. Long Beach says e-scooters are here to stay, as they decide to expand the pilot program while imposing new fees and regulations on scooter companies. The Voice of San Diego says the city can’t meet its state transportation goals without an entirely new vision dictating major changes in transportation. The same goes for Los Angeles, which will have to make wholesale changes in how people get around as part of its LA version of a Green New Deal. But don’t count on it anytime soon. That’s more like it. Encinitas voted to lower the speed limit on the northern section of the coast highway to improve safety for bike riders. A 32-mile Santa Cruz rail-to-trail conversion that’s been in the works for decades finally got underway with work to widen a railway trestle to make room for a bikeway. The victim of Sunday’s fatal bike crash in Stockton is described as a talented sushi chef who was riding his bike to work after loaning his car to a friend with a new baby; sadly, he never got there. We already knew NASCAR favorite Jimmie Johnson is one of us, as he says he loves the suffering that’s part of long runs and bike rides. Bicycling tells the heartbreaking tale of a woman who lost her fiancé when he was killed in 2015 competing in just his fifth mountain bike race. And restarted her life by moving to the Colorado town where he died, founding a company to help first responders deal with backcountry bike crashes like the one that took his life. Riding a tandem can make your riding and your relationship stronger. Or it could end it. Or so I’m told. More ridiculous jurisdictional issues in Colorado, where the state brings ebike classifications up to the national standards established in California, but leaves the actual regulations up to each community. Which one again means what’s legal in one city could be illegal across the street — without riders ever knowing that they had crossed into a different community, let alone one with different rules. Common sense wins the day in North Dakota, where legislators overwhelmingly defeated a bill to require bike riders to wear reflective clothing at night. Not that wearing reflective gear is a bad idea, but mandating it is. A new report from the League of American Bicyclists shows Oklahoma City is the deadliest city in the US for bike commuters. Lime continues its retrenchment on bikeshare, turning what used to be a fleet of dockless bike into a pile of trash after pulling out of St. Louis. A Michigan man confessed to the 70 mph, hit-and-run death of a bike rider, after police found his damaged car hidden in a field under a tarp and a sheet of snow. Nashville is close to approving an ordinance that would lower speed limits from 30 to 25 mph. A federal judge ruled that Trump’s call to execute the driver who killed eight people in a terrorist attack on a New York bike path did not taint the case, leaving the driver eligible for the death penalty. DC considers building a three mile bike and pedestrian path along the Potomac. A DC policy site considers how bikeshare can be made more family friendly. The LA Times says love is in the air when you ride a bicycle in Santiago, Chile. Canadian Cycling Magazine considers the pros and cons of traveling with your bike as opposed to renting one once you get there. Nice guy. A Toronto letter writer says if you can afford a bicycle, you can afford to buy a license for it. And if you can’t, you can just walk. The former world leader in dockless bikeshare continues its rapid decline, as Ofo gets the boot from Singapore after its license was suspended. The Wall Street Journal’s Jason Gay joins in on a fat tire race through the snowy Rockies in Crested Butte CO, complete with a brief video. As always, the Journal’s usual paywall issues apply. A top Scottish mountain biker was none too pleased when she had to borrow a bike to compete in Spain, blasting British Airways for losing hers. Cycling Weekly looks back at the rollercoaster career of the late, great Marco Pantani. Cycling legend Eddy Merckx won’t be prosecuted on corruption charges by Belgian authorities — not because he didn’t do it, but because the statute of limitations has expired. Finding true love, if not your stolen bikes. Your next ebike could come from General Motors — but only if you live in Europe. And your next dockless bikeshare bike could have lasers. But not the kind that will let you singe distracted, angry or aggressive drivers. 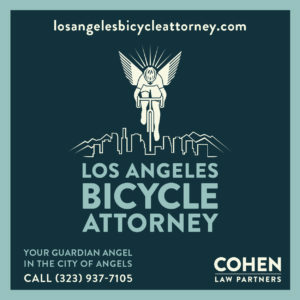 Welcome to Day Five of the 4th Annual BikinginLA Holiday Fund Drive. 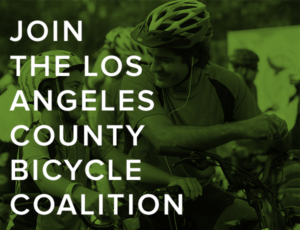 Your support helps keep SoCal’s best source for bike news and advocacy coming your way every morning! A new study from Ohio State University shows that distracted driving crashes tend to be more severe than other crashes. Which makes sense, since drivers seldom brake for what they don’t see. According to the study, “distracted driving raises the odds that a crash will cause severe injury or death.” But roundabouts or other traffic calming measures can reduce that risk by forcing drivers to actually pay attention to the road in front of them. Then again, better enforcement can also reduce the risk by encouraging people to actually hang up and drive. Meanwhile, a study from Carnegie Mellon University released earlier this year shows that just listening to a cellphone, let alone talking or texting, is enough to reduce brain activity associated with driving by 37%. Which explains why distracted drivers do so many stupid things. A new report shows that no district in California is doing enough to meet climate change goals. In fact, the amount of miles driven is going the wrong way, increasing instead of decreasing. Surprisingly, LA’s climate change model of promising improvements to alternative transportation and safety, then repeatedly failing to deliver, somehow hasn’t managed to entice drivers out of their cars yet. Speaking of which, maybe LA’s Vision Zero isn’t dead yet. New plans for a $17 million makeover of deadly Reseda Blvd include protected bike lanes, improved crosswalks and pedestrian islands, and bus boarding islands. As long as you can wait another five years for the work to be finished. According to LADOT, 50 people have been killed or seriously injured on the street since 2009. Which is about 50 too many. Now if they can just build another 100 or so streets like that, then manage to connect them into a real network, they might actually make some progress in reducing traffic deaths. Let alone meeting the state’s climate goals. There’s a lot more news about the Florida driver we mentioned yesterday who slammed into a group of 14 bicyclists, killing one woman and injuring six other riders. The 33-year old driver admitted she was distracted by something in the car, but couldn’t remember what. And offers a tearful apology, saying she’d trade places with the victim if she could. Police hope to examine the driver’s cellphone, which was severely damaged in the crash; she’s given them permission to download her usage data. Two of the injured riders have been released from the hospital; another remains critical following emergency surgery. And a Florida writer says distracted drivers are making the state’s dangerous streets even worse. Maybe they’re planning a two-wheeled sequel to The Italian Job. Between six to eight masked thieves drilled through a three-foot wall to break into a warehouse owned by Italian bicycle company 3T. And walked out with 20 high-end bicycles — including one hand-painted by the late, great framebuilder Dario Pegoretti. Let’s all keep an eye on Rome Craigslist, just in case. The LACBC’s Santa Clarita neighborhood chapter is teaming with Bicycle John’s to host a toy ride this Saturday. Which sounds like a great way to celebrate the season, and warm up for Sunday’s CicLAvia in DTLA. This is who we share the roads with. A driver is under arrest for repeatedly attempting to run down a pair of Jewish pedestrians on La Brea Ave in the Fairfax District, after making anti-semitic remarks near a synagogue. Writing for Los Angeles Magazine, a woman examines the pleasures and pains of walking in LA, including the unwanted joys of sexual harassment. Fifteen years after the Gold Line arrived, Pasadena may build an overpass to improve traffic on California Blvd. But the city may screw bike riders and pedestrians in the process. If you’re itching to tackle your first century, a uniquely named Redlands bike club will help you out with an 11-week course to get you ready. A Cal Poly SLO student combines Continental-level pro cycling, mountain bike racing and cyclocross with slam poetry. A San Luis Obispo man spent his Thanksgiving Everesting, climbing 1,300 feet outside Hearst Castle over 22 times. A tech website says dockless ebikes and scooters are here to save the world — as long as cities actually design streets to accommodate them and the way people use them. An opinion piece on NBC News says we should embrace scooters and dockless bikes, even if Elon Musk thinks they’re not cool. A writer in Moab, Utah gives thanks for bicycles, calling them the original sports tech. This is who we share the roads with, too. 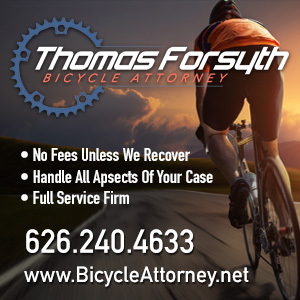 A Kansas woman faces charges — and stitches to her lip — after attempting to run down her ex-boyfriend on his bicycle, then swerving at her own brother before they retaliated in self defense. Needless to say, she blamed them for the whole thing. The New York Times says more business travelers are riding their bikes to the airport instead of driving. The planned transportation makeover of LAX is supposed to include better bike and pedestrian access, as well as a new Metro station. Let’s hope they keep their word this time. The Philadelphia Inquirer calls for revitalizing a declining street by banning parking, and using the space to make it more inviting for bike riders and pedestrians. A DC woman complains about the failure of bike etiquette displayed by shoaling cyclists. With winter unofficially here, DC commits to clearing snow from city bike lanes, as well as ADA sidewalk ramps. West Palm Beach FL is planning to build 18 miles of separated bike lanes to go with the city’s 38 miles of bike boulevards, to provide riders with low stress way to get around the city. A homeless Florida man who killed a bike rider four years ago will probably spend the rest of his life in a mental institution after pleading not guilty by reason of insanity; the victim was nearing the final leg of a ride down the East Coast to propose to his girlfriend. A writer for Treehugger writes that bicycling is an important tool for the struggling lower and middle classes, and says “hating on” the people who ride them is classist. Tragic news from Brazil, where a man was swept away in a flash flood after refusing to let go of his bicycle so he could be rescued. We’ve said it before — no bicycle is worth your life. You can always get another bike; another life, no so much. Toronto can thank a bike-riding 1970’s mom who was kicked off a park boardwalk by a park warden for kickstarting what turned out to be a nearly 12-mile riverfront bikeway. One more thing to watch for when you lock your bike. An English rider complains that his — or maybe her — bike was stolen from a new “secure” bike parking garage in Cambridge because the bike racks were improperly secured to the floor. Needless to say, the railway company operating the garage denied any responsibility. Life is cheap in the UK, where a budding Brit pop star gets eight months behind bars for failing to look when she entered a roundabout, fatally running down a mother of five as she rode her bike. A road raging British driver gets two and a half years for making a U-turn in an attempt to ram a bike rider who accidentally touched his mirror while complaining about a too-close pass. The rich get richer. The Netherlands will invest the equivalent of $624 million to get even more people on their bikes. Now that’s a close call. A bicyclist in the Netherlands barely avoids getting run down by a train after waiting for one to pass in the opposite direction. Seriously, always look for a train coming the other way before crossing any railroad tracks. A writer for Forbes explains how an engineer for German auto electronics maker Bosch developed the system that led to the explosive growth of ped-assist ebikes. A New Zealand columnist complains that the “cycling craze” is out of control and criticizes a plan to put bicycling instructors in every school, asking what’s wrong with a few skinned knees? Short answer, not much, if that was the only risk kids faced on the streets. Unfortunately, it’s not. Life in cheap in Australia, too, where a distracted driver gets just nine months for killing a father of two as he rode his bike. She was attempting to change the music on her phone, which sure as hell isn’t worth leaving two kids without a father. A British man working in Japan discovers it’s easier to get around by bicycle, as long as you comply with a long list of rules. Seventy percent of Singapore drivers feel less safe on the roads because of bike riders. So imagine how the people on bicycles feel around all those cars. Here’s your chance to buy a slightly used two-wheeled Aston Martin. You may be young, but you’ll never look better in Lycra. This is what a paper writes when they don’t know the difference between a recumbent and an adult tricycle. And seriously. Call me a Silver Cycler, and you’d better be smiling. Thanks to Paul F, Fred D, Thomas K and Joseph R for opening their hearts and wallets to give to 4th Annual BikinginLA Holiday Fund Drive. Your generosity helps ensure this site keeps coming your way every day!